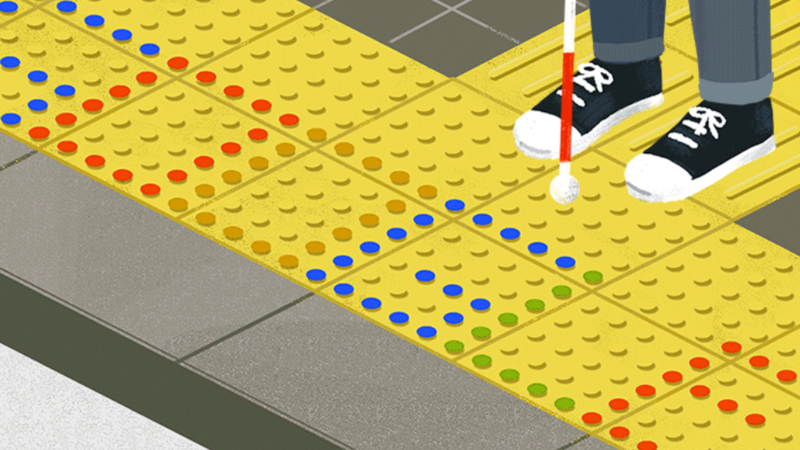 A “bump in the road” connotes a temporary set back for most of us, but today’s Google Doodle explains how tactile paving changes the lives of visually impaired and also introduces web surfers to the man behind the advancement. Learning more about Japanese inventor Seiichi Miyake brought to mind the fascinate fellowship of Naima Hall, teacher of second- and third-graders at Educational Vision Services, P.S. 102, the world’s largest education program serving students who are blind and visually impaired from 5 to 21 years of age and eligible preschool children. 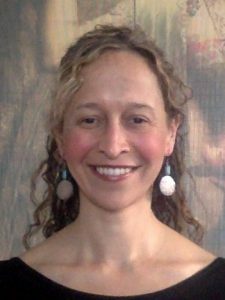 Last summer, Naima used her FFT grant to explore the life of Louis Braille and investigate French-inspired multisensory, experiential learning opportunities that promote New York state’s Expanded Core Curriculum (ECC) for blind and visually impaired students. For example, Naima toured the world famous Galimard Parfumery 1747 and learned how to make individualized scents, an exercise she modified and duplicated with students. 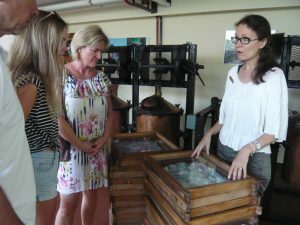 She met with the manager of the equally renown Savon de Marseille soap production facility, providing more inspiration for her ECC lessons. 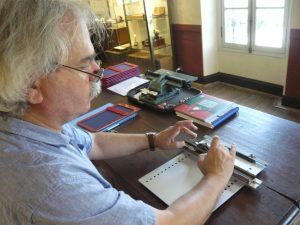 Perhaps most compelling, however, was her time spent with the curator of the Louis Braille Museum and spending time with Braille’s archived samples and inventions that continue to change the lives of the visually impaired. Naima Hall is a teacher for the blind and visually impaired at Educational Vision Services, P.S. 102 in Brooklyn, NY. Previously she served as an educator in Saitama, Japan, working in conjunction with the Japanese Ministry of Foreign Affairs. She also served as an overseas field educator facilitating international service learning and sustainability projects in Fiji, New Zealand and Australia.